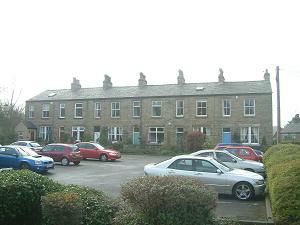 Coronation Buildings is a terrace of stone cottages that stands at right angles to Palmerston Street and once had only pedestrian access. Pedestrian approach off Palmerston Street. Vehiclular approach off Palmerston Street via Hurst Lane and Civic Hall car park. Nearest pub – Dog & Partridge. Which coronation? Probably Queen Victoria’s which dates them around 1837. Terry Waite’s father was a Bollington policeman in the late 1930s and before his marriage he lodged in No.3 Coronation Buildings.